When patients can’t find words to describe their experience, we can often find clues . . .
. . . in their posture, in the ways they move, and even in the limitations to their movement. – they’ll have more options for responding to life’s stresses. And that can increase their resilience. In the video below, Pat describes how she helped a client who had suffered years of abuse begin to expand her movement vocabulary. How have you used body language and movement in your work with clients? Please leave a comment below? But also I had a client who has ocd and complained about her dry skins by just using cold to warm water for washing though. It was supposed to have a relaxing and cooling down effect. The skin was cracking badly. Hi it is really good that you have found ways to relieve the pain and itchiness. I like how using the hot water can be so much effective. In fact we are very dependent to how the Brain is wired, there is no different ways to say it. Pretty basic really, I just use the occasional hug or pat when a client’s distress overcomes them to express my empathy. I really liked the idea of pushing pulling grasping yielding etc. and I do get that trauma can be deep seated in the body and in movement. i have a terrible habit of running my hands under increasingly hot water. This is a habitual response to stress, often manifested as atopic itchy lumps on my hands whenever I cut fruit or vegetables. I find that mindfulness can interrupt this behaviour (on a good day), but more interestingly, I notice that once the water gets excessively hot and I stop, I get a corresponding surge of something (neurotransmitters?) in the back of my neck – which is actually the payoff. i wonder if this is in some way associated with stimulation of the vagus…??? Thank you for sharing. It’s all about what hasn’t come to the client’s awareness yet and enabling them to see they have more options and freedom of choice. Hi, Thanks for sharing this. Its a new technique I learnt today! But, this is possible in face-to-face. Is there anyway in which we can do it when client is taking audio sessions? I have not worked with body language in this context. I obviously observe all body language throughout the session. But this has certainly go me thinking: When I reflect on women I see who are in abusive situations they are often very still, unanimated and unable to relax into the chair. I now wonder if this is not perpetuating the ‘walking of eggshells’ condition that is so prevalent in abuse and most especially emotional abuse. It makes me consider that they are so used to treading silently and carefully that it enters into every sphere of their lives and even in the safe space of counselling. Many thanks for this video clip. It is highly relevant and specifically as I hope to do my Masters in the resilience of women who stay in emotionally abusive relationships. There a book, The Body Has It’s Reasons, Thierry, translated from the French. Similar ideas. Astounding! Thank you for sharing. Turning up their palm of the hands so they can be able tu relax their shoulders. Yes, palms up and then raising the arms so much, that they are away from the body. The higher the better, but starting with small movements is good. This is so relevant, moving your body just a little can change so much! Thank you, Ruth!! when I worked with families who had adopted and the adoptees were now teenagers and destructive i would ask the care giver of the teens hobbies. reply”rap and tagging” ( graffiti) so ask him to develop a rap and dance to reflect his feelings….and you develop a rap and dance to reflect your feelings…and strip one of his bedroom walls and let him tag it ….she replied ” what if he swears or writes swear words” . Last week he threatened to kill you, this weeks your worried about swear words that he has already called you ? Clients sometimes curl up on my therapy floor, reflective of their pre-birth and pre-verbal foetal position, or do hand screams and feet stomping, pillow screaming of cushion bashing, angry writing or slow and soft sensate focused dance and touch. Emotional release techniques. I can usually tell when they walk in the door how their week or day has been. The jumpy leg movements, the head turning, non eye contact, easily distracted, heavy breathing or very light. I am a psychosexual therapist, a marriage guidance and relationship therapist and an integrative counsellor. working with all the senses brings many gifts as the cathartic process cannot always be met by verbal disclosure. I have worked specifically with men who had received unwanted sexual experiences ( 40% predators are women) who need safety and stabilisation techniques for many many sessions before embarking on disclosures. I have worked with all parties and families in the adoption triad of trauma loss who all have their own experience of the loss of the birth child, their birth child , their birth parents, and i have worked with many many NHS medical staff and police officers who have latent pts and PTSD. + so many couples where sexual and physical abuse was presenting and projected on to the other. I value your work Pat as I do Peter Levine and Babette Rothschild, van de kolk and Betty J Lifton. Fight, flight, freeze and fawn have to be worked through the body. Art, music, dance, breathing, meditating and visualisation and energy work in the session or home exercises are all in the mix and no ‘one size fits all’ approach works as these fantastically brave and very complex clients are bringing their unique journeys. I have learned some more today from you and your contributors. I facilitate Equine Assisted Learning. Body language and movement is the language of the horse who sends and receives communication in a clear and non-judgmental way. The client can practice new ways to use their body language and movement and receive clear feedback of their impact. I also feel, that our body has wisdom and when we move it we move the emotions that are stuck. I dance with clients, and the heart becomes the rhythm and we find the beat where thoughts have no room to grow and keep us stuck. This is a moving meditation practice where our victim story becomes a warrior story. thanks for posting such powerful work. Thank you for your comment. Yes, it can just be so empowering! Thanks. Posture is so important as it feedbacks into our current state. Speaking of “posture” of survivors of abuse, and how different therapists approach this to assist with healing… I was in a large bio-energetic therapy group in Amsterdam (Dutch and American therapists alternated leading these groups that could have 40 people sitting on the floor on pillows in a large circle in a huge room. The therapist would be in the middle, and after a long time of physical break down to open our blocked energy to ‘work’, we’d sit down and one person at a time would be ‘worked with’ in the center of the room with the therapist. WATCHED by all the others! It was radical in many ways (I have stories! )… but the posture discussion makes me think of one time (of many) when I was blown away by what the therapist did! The therapist that I adored (American) was a woman about 45 at the time (I was in my mid 30’s), and she was a dynamo! Energetically, as well as in her confidence, strength of character and bold in her dress. Blond hair, always stylish high heels, make up, large bold earrings (hoops this day), tasteful balance of jewelry, not over done in any way, and SO well put together! Long story short…. I forgot her name (therapist) .. which is hard to believe… she so wowed me! So many stories I have about that group and the work I did!! Anyway, the cellist some how became the focus one session (these were like 3+hour sessions). The cellist was not asked to go to the center of the room. She was talked with in her place on her pillow with the rest of us. Then, the therapist got up, and signaled the cellist to follow her out of the room. She did. They were gone for maybe 15 min. No one knew what was going to happen, or was happening. Then, the door opened and in walked the therapist in the cellist clothes, and the cellist was all dolled up in the therapist’s clothes!! O M G ! ! Then, the therapist (walking shyly with head down as the cellist did) mopped over to her pillow and the therapist proceeded to mirror the cellist’s style of sitting, character, energetic style. The cellist was directed to sit in the center of the room, on the therapist’s chair and take on her persona. I swear, watching her was like watching someone getting a BLOOD TRANSFUSION! Although ungodly out of her element, she was open to trying this (reason she was in the group after all!) and it was like magic! Color actually came to her cheeks and a smile creeped on her face. The session went on from there, exploring what was evolving for her, the therapist sharing how buried and afraid she felt, and so on. It was a WOW experience for all! Sounds awesome thanks for sharing. I would love some details on how exactly Pat worked with this client – beyond the theoretical. Pat Ogden’s posture work, like Peter Levine’s SE, was influenced by their background in Rolfing, an alignment-based modality. Another trauma therapist/Rolfer, Darrell Sanchez, created an effective therapy tool, the Tuning Board, to develop somatic resources related to balance and alignment, such as grounding and centering. This tool, used by many SE practitioners, was the subject of my thesis. See http://www.tuningboard.org, or tell me if you want more info. that is very helpfu. I am currently working with a client who was a victim of sexual abuse as well as physical abuse. While I have not met them, she has described several of the 27 diferent personalities she has identified when she splits. I often use my hands to express the discharge process the client is trying to accomplish. It looks a conductor in a symphony – does it make sense to you? I use LifeForceYoga, developed by Amy Weintraub. This is not a practice i have used but it reminds me of push hands in tai chi which teaches responding to the energy and movement of the opponent offender by deflecting or pushing as needed which affects the balance and intent of the offender. I used miroring with children in school. ANd have let universe move me into incredible positions in which much grace and light of different colors flooded into me. ANd sufi spin. It’s all in the body – but learning the language of one’s own body can be so difficult for people, even therapists (especially those who only work with cognitive therapies – or so it seems). Helping individuals to find breathing space within themselves through body awareness (recognising tightness and tension and learning to reduce this in acceptable stages) has been my preferred method. Becoming comfortable inside one’s own skin – such a difficult task ….. I use gentle music in the frequency range of central C to two octaves above as a background music, because it promotes a natural mammalian healing mental and physical state of reciprocity. Instead of be directive in my communication, I try to be gentle and join in bonding by asking the patient to share their experiences as if they are the narrator and I am learning my perception through their story. I am interested in hearing some of the choice. I am unable to recgognuce the range that you are sharing here. I usually love Vivaldi violin concerto or symphony. May be I can use these . Middle C is C4 261.6 hz. C5 is 523.25 hz. C6 is 1046.50. I hope this helps! This is great. Through breathing and yoga stance. Fascinating! 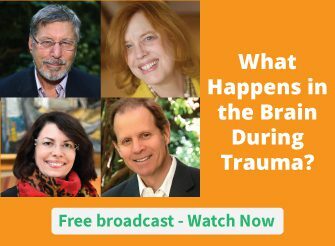 I’m rather new to the field and have never used this, but I interested in the mind/body connection in trauma clients.